Jax Mariash is attempting to become the first woman to win a self-supported stage race on all seven continents. With North America, South America, Asia, Africa and Antarctica already completed, the Ice Ultra represents Europe. Update (Feb. 20): Unfortunately, Jax Mariash has withdrawn from the Ice Ultra due to illness. 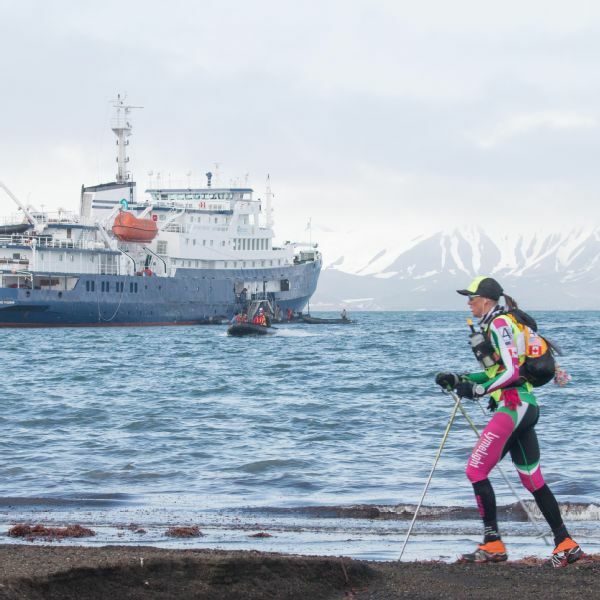 She said, in an email on Wednesday, "My Ice Ultra, and dreams of tagging a sixth continent win had an abrupt end a mile before checkpoint two on stage one. After having a cough/cold for 2.5 weeks right after Outdoor Retailer, it progressively got worse as I traveled to Sweden ... If I continued, it could have been catastrophic to my health and ruined all of the other goals this year. It was one of the hardest calls to make in my athletic career as a global athlete chasing a world record, but it was the smart one." "Tampons, for firelighting, times three." The items Mariash will carry with her during the race. 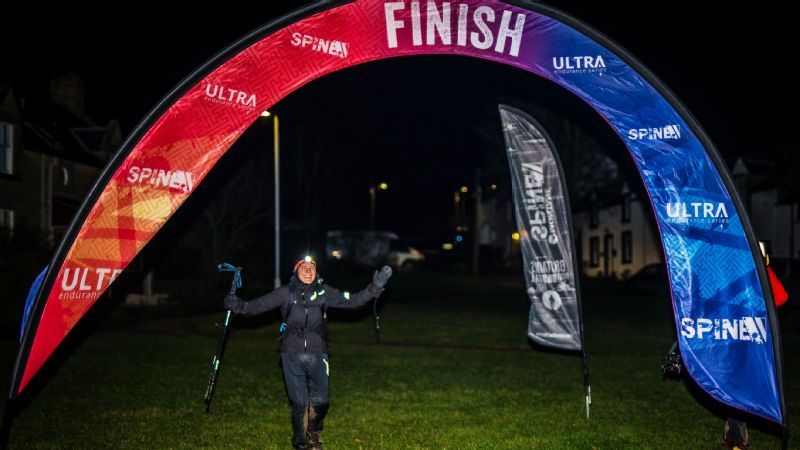 Ultrarunner Jax Mariash is reading from the compulsory kit list for the 2019 Ice Ultra, which she will begin on Tuesday in the Swedish Lapland. The Ice Ultra, which covers 140 miles over five days, takes place entirely inside the Arctic Circle in what has been labeled an UNESCO world heritage area as Europe's last remaining wilderness. Temperatures average about minus-20 Fahrenheit and can drop as low as minus-40, and that's without the wind chill factor. Hence, the tampons. "They're super flammable, in case you need to start a fire," Mariash says. "And the plastic wrapper keeps them dry even if your pack is soaked through." These are the things you think about when you're on a quest to become the first woman to win a self-supported stage race on all seven continents. With North America, South America, Asia, Africa and Antarctica already checked off Mariash's list, the Ice Ultra represents Europe. 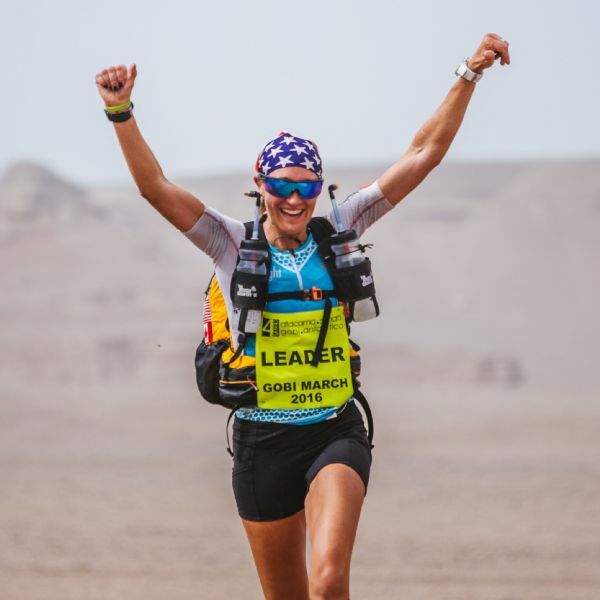 Mariash is known as "The Queen of the Desert," because she was the first woman to complete the 4 Deserts Race Series Grand Slam Plus, and was the 2016 4 Deserts female world champion. 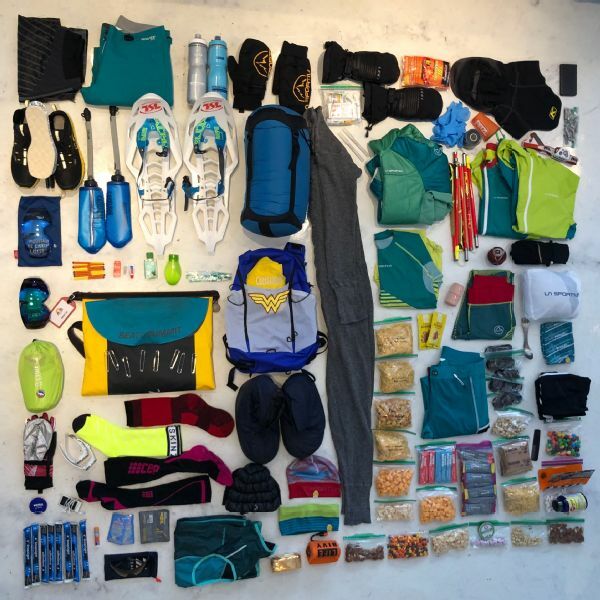 Most recently, she was the female champion at the 2018 Grand to Grand Ultra, a seven-day, 170-mile race through the Utah and Arizona desert that starts at the Grand Canyon's North Rim and ends at the summit of the iconic Grand Staircase. 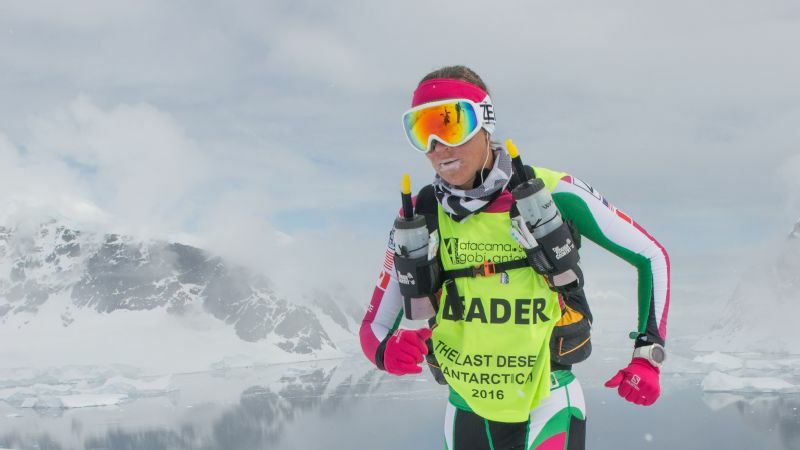 Mariash won The Last Desert race in cold, snowy and icy Antarctica in 2016, the final race in the 4 Deserts series, but Sweden will present her with frigid conditions like she has never raced in before. The route, which varies between 9 and 39 miles per day, crosses frozen lakes, ascends mountains and bisects pine woodlands. Runners can expect to encounter herds of reindeer by day and dazzling displays of the aurora borealis (aka, the northern lights) by night. With only seven hours of daylight, the majority of their running will be done in the dark. "Typically, I put my head down and listen to music and check out," Mariash says. "I don't always remember to look around and enjoy the scenery. But I am freaking out about the chance to see the northern lights. If that happens, I will stop, pull my phone out and videotape. That would be magic." Runners will sleep in tents or crude cabins, often with nothing but a reindeer skin between their sleeping bags and the snow. There is a checkpoint every 10 kilometers that supplies water only; runners are required to carry all food and gear they will need for the entire five days on their backs. In 2016, Mariash won the 4 Deserts Gobi March in the Gobi Desert -- checking off Asia from her list of continents. This year, 10 of the 40 race participants are female. The race cannot handle a larger group of runners because they are allowed a limited number of snowmobiles in the UNESCO area. With frostbite and hypothermia real possibilities, race director Kris King and his staff, made up of Saami locals who are experts in both the terrain and the climate, can mobilize at a moment's notice. King says they can get to anyone on the course within 30 minutes. "I am scared about the cold," Mariash says. "I have a tendency to get frostbite on my nose, toes and hands. I'll be dressed like I'm climbing Mount Everest." Mariash plans to cover her nose in Vaseline under her facemask. She'll be wearing two layers of socks, the outer of which is fully waterproof, and three layers of gloves. She has screwed extra spikes into the soles of her Gortex La Sportiva boots to better handle the icy conditions. Race staff mandates that each runner carry at least 2,000 calories of food per day, but because the body uses so much more energy to stay warm, Mariash says she plans to carry 3,000. Food must be light and densely caloric, so she plans to eat ramen for breakfast and freeze-dried macaroni and cheese for dinner, with snacks like Fritos, Oreos, Moon Cheese, coconut chips and peanut M&Ms fueling her during the day. More traditional energy products like chews and and gels would freeze in sub-zero temperatures. Mariash won The Last Desert race, held in Antarctica, but the Ice Ultra is expected to be even colder. "You know, four Oreos have 260 calories," Mariash says. "I typically lose weight over the course of a race, and with the cold, I don't want to mess around with that, so even though my pack weight will go up a little bit, I will try to eat more per day." Mariash 38, has been running since she was 5 years old. She was a road racer and an elite duathlete and triathlete before competing in her first ultramarathon in 2013. She has spent the past several months training, running five days a week at home in Park City, Utah, and capping at a 100-mile week in late January before beginning to taper for the race. She also does strength training every day and uses rock climbing, skiing and yoga as additional training methods. "My goal is to win this race outright," she says. "I want to beat everyone. I want to beat the boys." Mariash's boyfriend, fellow runner Basit Mustafa, plans to meet her at the Ice Ultra finish line near Gallivare. She hopes they will be celebrating her victory at the world-famous Icehotel in Jukkasjarvi, just a short drive away. Then, she will focus on the last race in her seven-continent quest: The Track, a 10-day, 320-mile race in Australia's Northern Territory, between Alice Springs and Uluru. "I love ultrarunning because it makes you dig deep into your bucket of grit and figure out a way to get it done," she says. "It makes you realize human potential is way bigger than we ever thought."